commented on "Q: WHAT DO YOU DO WITH THE DEBRIS THAT IS REMOVED FROM MY GUTTERS? ..."
Q: WHAT DO YOU DO WITH THE DEBRIS THAT IS REMOVED FROM MY GUTTERS? A: We have two options when disposing of the debris. If debris only consists of organic matter, we can lay this as mulch on your gardens beds, or alternatively, we can take it away for composting. Of course, if there are foreign objects such as litter, balls, sharps or rubble, we sort these accordingly and take them away to dispose of them in the appropriate manner. Q: DO YOU CLEAN MY GUTTERS FROM A LADDER? A: Though in some instances we may need to clean your gutters from a ladder, the majority of our work is carried out from the roof. Don't worry though, we are 'Working Safely at Heights' certified and follow all appropriate protocols for such works, including the use of fall-restraint harnesses. 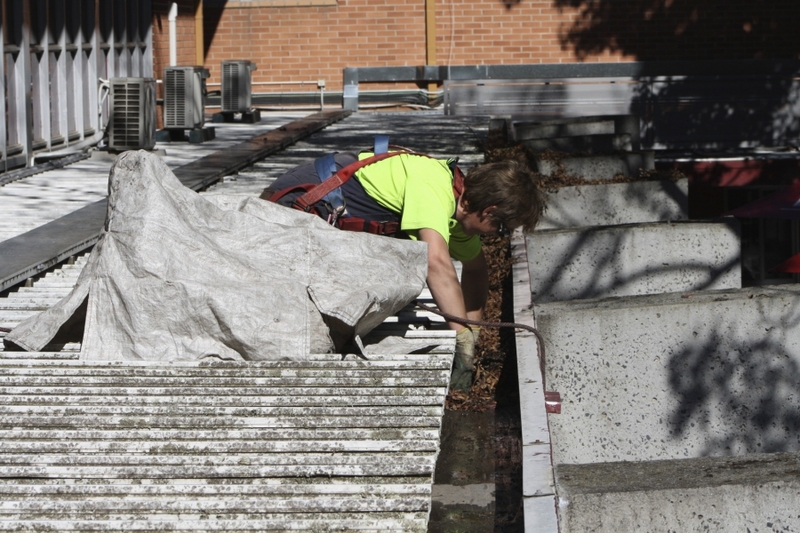 We are Featherfoot by name and also by nature, ensuring that your roof remains free from damage. Q: DO YOU INSTALL GUTTER PROTECTIVE MESH OR OTHER PRODUCTS? DO YOU DO PLUMBING REPAIRS OR INSTALL GUTTERS? A: Though we work on maintaining the effectiveness of you roof drainage systems through regular cleaning, under certain circumstances we can install gutter protective mesh. However this is only where we deem it does not cause more problems than it solves. Furthermore, we can redirect your plumbing inquires to a reputable Plumber.